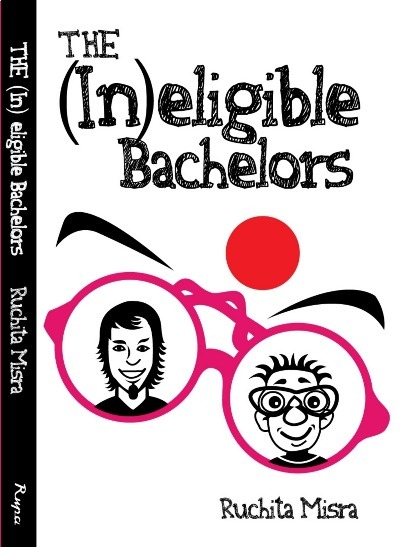 Ruchita Misra’s,”The Ineligible Bachelors” throws light on the concept of “Arranged Marriages” which still continue to be a trend in many parts of our country. The complicated process; beginning with the matrimonial advertisements, the calls and replies, the meetings, the constant pressure from parents, succumbing to their pressure and so forth; has been expressed by the author in a very good manner. The Protagonist, Kasturi Shukla is an MBA graduate who is just out of B-school with a great job offer in hand. She is all set to move to Delhi where she would be starting work in a few months. She comes home for a vacation before she is set to start with work and intends to take a good break before she gets acclimated to the monotonous life of a working professional. But her mother, The Obsessive Indian mother, has an itinerary of her own. Unable to tolerate the fact that the daughters of almost everyone she knows are getting married, she decides to get her daughter married at the earliest and resorts to publishing an advertisement in the papers and shortlists prospective candidates who could be her son in law. In the midst of all this, Kasturi moves to Delhi for her work, where she gets along well with Ananya and Varun, both her office buddies, who go on to become her best pals. Ananya is the no-nonsense girl who considers it a practical waste of time to go for shopping,dressing up and dating men . Varun is a fun loving character who just adores making PPTs for anything under the sun. With Ananya and Varun by her side, Kasturi embarks this journey to find her Mr. Right. Whether she picks up a guy from the ones her mom has been asking he to meet, or whether she would fall for her Manager, Rajeev, whom she has a major crush on, or whether she finds someone other than the aforementioned for whom her heart beats wildly, forms the crux of the story. If I had to give one reason why I liked the book, it would have to be for the way in which story is shaped. I am certain that everyone who reads this book will be able to relate to Kasturi, because everything that is described and narrated is practical and nothing is far-fetched. Having an over obsessive mother, who has a heart of pure gold and does everything for the welfare and good will of her daughter, sometimes going over board; the friends who stand by us in the darkest hours of our lives; adjusting to a new job in a new city; all this are things which almost all of us would have experienced at some point of our lives. This book takes us on a journey of emotions through love, friendship, parental affection, emotional blackmail, a bit of action, heart break and happiness. There is humor in the story for which you would feel like genuinely laughing. All the characters are very well justified. I had fun and thoroughly enjoyed reading this book. I’m sure this book will reach out to a large audience. All I can say is, you will not regret reading this book. sigh…am very bad with book reading….glad you read a lot…and reviewing is even more difficult! Nicely written review…I would love to read this book for its title. Nice review Ashwini. And I am sure people in India will relate to this book. I've been considering picking up this one-maybe I will soon! P.S: This Blogadda's Book Review program makes me so jealous-wish I was in India!! Do read. It's really nice.